The characteristics of Koch's mathematical fractal are produced by following a set of simple rules, which result in an infinitely reducing pattern. Fractals are found in many natural forms. From the smallest snowflake to the arrangement of the Universe. A fractal is a shape that can be fragmented and repeated with regularity. So as a fractal develops, roughly the same type of structures appear on an ever-smaller scale. Like certain other plant life, ferns are fractal in nature, so one frond is a smaller copy of the whole – not identical, but similar. Like natural fractals, mathematical fractals also create attractive, recurring patterns. In the early 20th century, the work of Swedish mathematician Helge von Koch illustrated the characteristics of mathematical fractals. The Koch snowflake is created by continually repeating a certain rule. Lose the middle third of each side. Then insert two sides of an equilateral triangle into each gap. Now repeat this rule for all of the new sides. 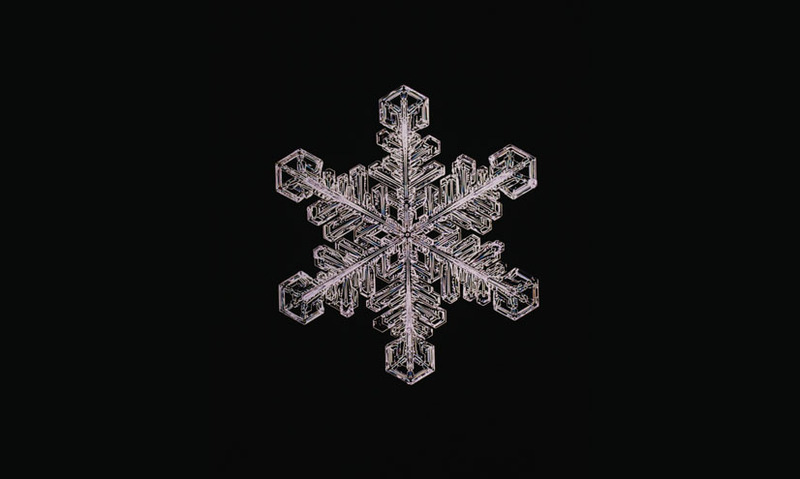 As the snowflake grows, it always remains contained inside a circle drawn around the original triangle. So the area is bounded. But as the process repeats, the fractal's perimeter increases by a factor of four-thirds at each step. This means that the fractal's perimeter increases without limit. The Koch snowflake therefore has a finite area, but an infinite perimeter. 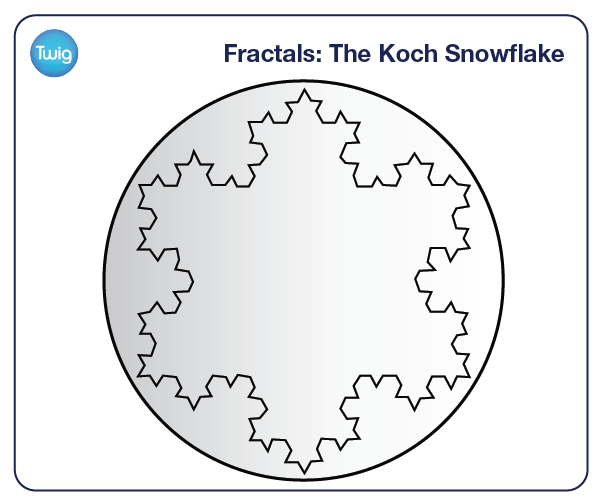 Natural fractals behave much like Koch's mathematical Snowflake. Though their perimeter will only increase as far as nature will allow.